Marcus Gresham was born in London, England to USAF military parents. As a native of Columbus, Ohio, he first heard the Salvation message at Fellowship Baptist Church in 1977. Later in November, 1982 he received Jesus Christ as his Lord & Savior and became a born-again Christian. Gresham was called to full-time ministry in 1983, and his life-focus changed immediately. Because of this, he studied voice and piano formally at The Ohio State University and earned a Bachelor of Music in Vocal Performance in 1989. It is at Ohio State where Marcus composed his first Contemporary Christian song. He discovered he had the ability to effectively sing and write songs and so began using it as a unique tool in reaching his world for Jesus Christ. Since that time, thousands everywhere have been challenged and blessed. In 1999, he began his first full-time ministry position. Marcus served as an Associate Minister of Music for 7 years and a Worship Pastor for 5 years at various large church ministries in the USA. In the early days of his youth, Marcus started playing piano in the 3rd grade and singing in the 6th. Here he often found himself imitating the soul, funk, jazz and R & B sounds that his father would play on the home stereo. These styles taught Marcus indirectly how to improvise and think 'outside of the box'. Music continued to become a stronger expression in his life: from personal enjoyment to school performances to volunteering in church music ministry. All this has seasoned Gresham with 30 years of worship ministry experience, performing and teaching. His expertise includes voice, piano, songwriting, worship leading, choral directing, training and development, arranging, orchestration, and studio performance and production. As an active Worship Leader, Marcus continues to be led by the Holy Spirit ministering to people and teaching the Word of God. His desire is to give people everywhere the Good News of the Gospel message of Jesus Christ whether in Word, in song, or in lifestyle. His newest work, a studio album entitled “ENDLESS”, was released on December 26, 2011 through MSG! Message Music. It features 11 original songs including “Living Water”, “My Endless Praise”, “Supernatural”, “Our King”, “I’ll Speak Your Word” and “Your Blood”. 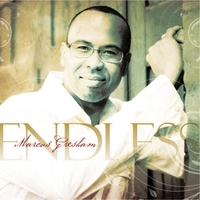 An offering of Vertical Praise and Worship, Marcus Gresham artistically blends diverse styles of Urban Contemporary Gospel, Modern, and Inspirational. The project is dedicated to anyone who dares to see God become an absolute reality in their lives. An accomplished singer/songwriter, recording artist, producer, and a new artist in the PraiseCharts catalog Marcus Gresham is also the founder and owner of MSG! Message Music. He continues to minister, write and record songs that glorify God and lift people's lives around him. He also teaches at Worship conferences, conducts Master Classes, and offers Training & Development for individuals, groups, and local church music ministries. Gresham has produced five studio albums ranging in styles of Praise/Worship, Musical Drama, Seasonal, Jazz, Gospel and Urban Contemporary. He has been featured as a winner at the Babbie Mason Music Conference, a soloist at Nationwide Insurance Company’s CAP Freedom Rally and an event speaker & artist at Charis Bible College’s Worship Conference. Other musical achievements include original compositions for the musicals “Just For You” and “The King of Glory: Praise To The Lamb”. Marcus has lived in England, New Mexico, Germany, Ohio, Virginia, West Virginia, Pennsylvania, & Colorado. He also has visited France, Russia, California, Georgia, Texas, Arizona, South Carolina, North Carolina, Illinois, Indiana, Michigan, New York, Tennessee, Wyoming, Montana, Washington State, Oregon, Washington D.C., Kentucky, Missouri, Kansas, New Jersey, & Florida. A Diverse Project with a unique display of Gospel, Christian, Urban Contemporary, Funk, Soul, R&B, Jazz, and Inspirational. The album features 14 original songs dedicated to the life of Gresham's mother and friend, Mary Ann Wise Gresham. © 2019 Marcus Gresham. All Rights Reserved.